The Darkhill Hotel features106 rooms guestrooms all renewed in 2010; including 61 standard rooms, 33 family rooms, 5 suites ,5 connection rooms, 1 presidential suit and 1 disabled room. 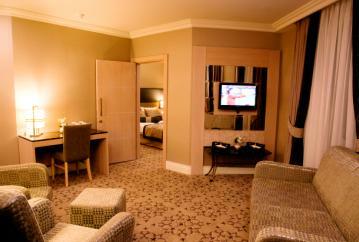 All of our rooms are elegantly designed into detail for your comfort and offer even more than your expectations. There is a 24h room service. A wireless internet connection all around the hotel. 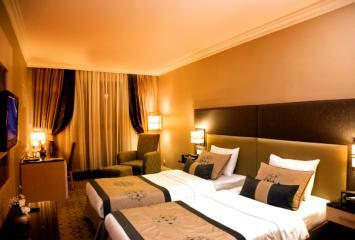 The rooms are covered with anti-bacterial wallpapers and nonflammable carpets. All of the rooms have nonflammable doors. There is a laundry and dry cleaning service in our hotel for our dear visitors.